"Different Dreams" takes over MBC's Saturday 21:00 time slot previously occupied by "Love in Sadness." Lee Young-Ae was first cast for the lead female role, but due to scheduling issues she withdrew from the drama series. 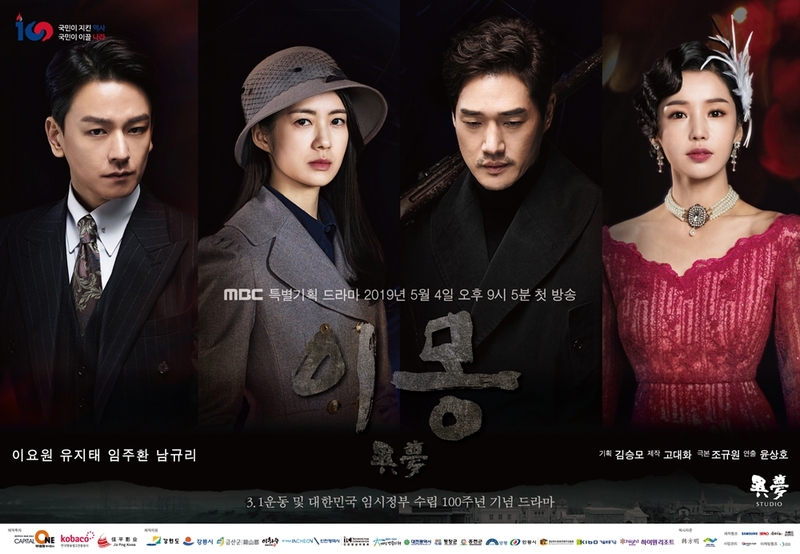 Ai Mar 30 2019 9:08 am Believe in Yoo Ji Tae, my fav actor. Clarkdale44 Mar 26 2019 6:56 am Can't believe it...! Am i dreaming or what?? Lee Yo Won and Nam Gyu Ri together again after so long... 49 days. Like that wasn't enough we have Yoo Ji-Tae too.. It sure looks too good to be true. Windy Mar 04 2019 3:24 pm The reunion of Nam GyuRi and Lee YoWon after 49days yyyeaasshhhh!!! I already watch the Trailer and looks promising! *O* Mr sunshine x Bridal Mask feelssss...!!! Christy Jan 18 2019 12:58 am Aww it’s Lim Ju Hwan!! Can’t wait! Everytime I hear about his upcoming shows, I get excited and can’t help but to be excited :) Im Ju Hwan, Fighting! Rae won Dec 27 2018 8:59 pm Nam Gyu Ri and Lee Yo Won finally reunited after 49 days. Hopefully this drama is a happy ending. kdramafans Oct 09 2018 4:29 am Hopefully LYW can show her acting skills like her previous drama 49 days! so that no one can say she's a foot acting actress anymore! Get a Daesang this time!! Agatha Oct 07 2018 6:12 am I will watch this. Definetely. qwq Sep 23 2018 12:48 pm Kim Won-bong? A character that played by Cho Seung-woo in 2015's Assassination? Lessi Aug 14 2018 7:36 pm Well it shucks that lee young ae is not cast anymore. Sera Jul 29 2018 10:17 pm Well I heard that Yoo Ji Tae was offered a role. I don't know why but this PD seems to be very nostalgic towards Lee Young Ae past works. Could we get a noona-romance, if there is romance? I can see it happening after her chemistry with Yang Se Jong in Saimdang's Dairy. Zen Apr 16 2018 8:23 pm May the drama be very popular and get a lot of praise after broadcasting in the future. I hope the storyline will be entertaining, touching and great. The casting will be wonderful. Maya Mar 21 2018 9:18 pm Ooohhh, the plot sounds so interesting!! Can I either have So JiSub or Cha SeungWon as the male lead? Sera Mar 17 2018 1:23 am If there's romance, hopefully the male lead is Lee Sung Jae. This ahjusshi is hot and needs a male lead comeback. Or maybe, Han Suk Kyu? REVA Feb 11 2018 4:48 am If we get to suggest the male lead, I vote for Joo Jin Mo. Dannie Dec 05 2017 7:29 am Cast Won Bin as the male lead please though i'm not that sure he's even reviewing any drama offers? EBN Oct 04 2017 10:32 am So excited °•.•° (^_^) :) LYA , plz make me amazed like your another project .. I'm hope that a strong chemistry get formed ..
hari_kang99 Oct 03 2017 4:30 pm hyun bin or So Ji Sub for the male lead?